Unless you want to be raising Captain Hook, above the baby’s crib is a very bad place to hang a dartboard. 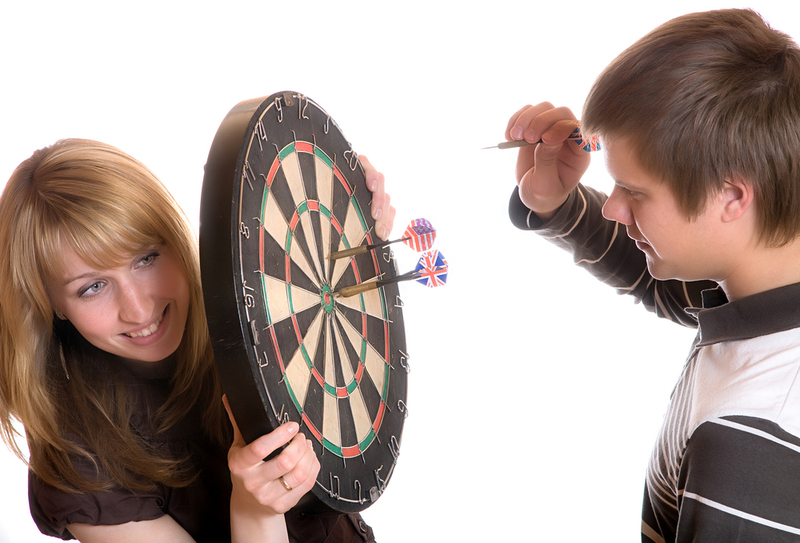 There are better, inconspicuous ways to take her out than accidentally aiming darts right at her. Get creative. Don’t put it by the window. We all know how awkward a conversation would be after blinding a passing pedestrian. Contrary to popular belief, doors do open. And the person on the other side might not like what he walks into. No need to explain this one. Bruce Springsteen is god. And you should never do anything to inflict damage to any effigy of him. Your board should be placed nowhere near waist level. Your significant other will thank you for it. Trust me. Don’t get me wrong, Brazil is absolutely one of the most beautiful countries in the world. But with its reputation as a hotbed of criminal activity and gang violence, thugs and gangsters don’t need another alternative weapon. This is common knowledge. You might trust yourself to actually hit the board, but do you trust your friends? Placing a dartboard next to an HDTV is a tragedy waiting to happen.